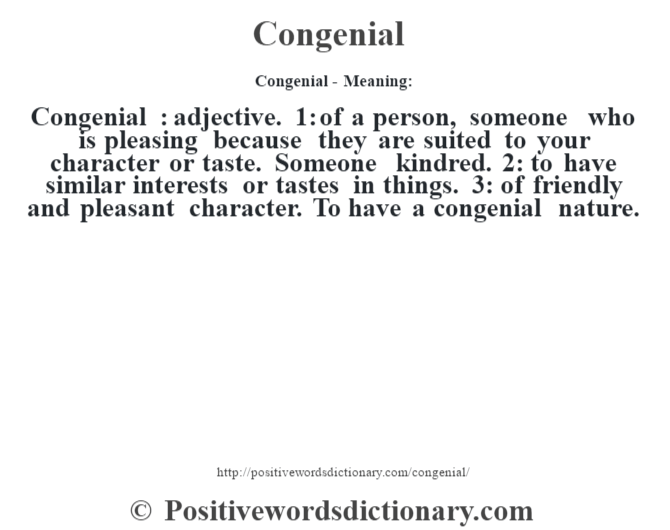 Congenial : adjective. 1: of a person, someone who is pleasing because they are suited to your character or taste. Someone kindred. 2: to have similar interests or tastes in things. 3: of friendly and pleasant character. To have a congenial nature.